Still time to pick out carpet & can be finished in less than 30 days! Elegant & Fantastic new home only 5 minutes from Legacy Park with great highway access. Very open floor plan & high ceilings. 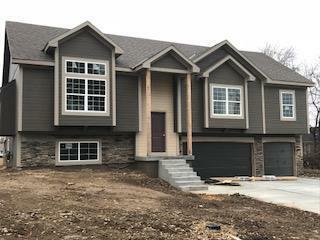 Custom package includes hardwood floors-custom cabinets-huge granite kitchen island-15X13 master bedroom with walk-in closet-spacious master with whirlpool tub-great room with gas log fireplace-main level laundry-finished 20X11 family room & 27X30 3 car garage, plus, columns and tile galore! Don't let this one pass you by! Directions: Hwy 470/291 South on 291 to Langsford, East to Todd George, North to Nine Oaks Subdivision on Left.